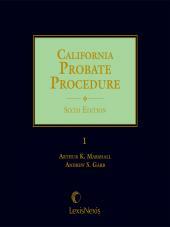 Designed for the attorney who needs a quick but thorough summary of probate procedures in Calfornia. 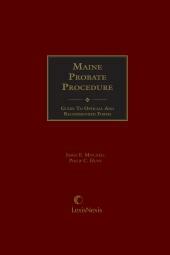 Designed for the attorney who needs a quick but thorough summary of probate law, this book of procedure provides numerous citations to the Probate Code and the Judicial Council forms, relevant cases interpreting the Code, and references to the Law Revision Commission's Comments on the most recent amendments. 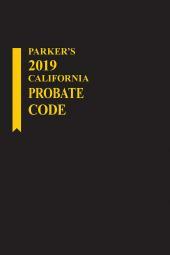 The Sixth Edition reflects the latest legislative changes for estates. 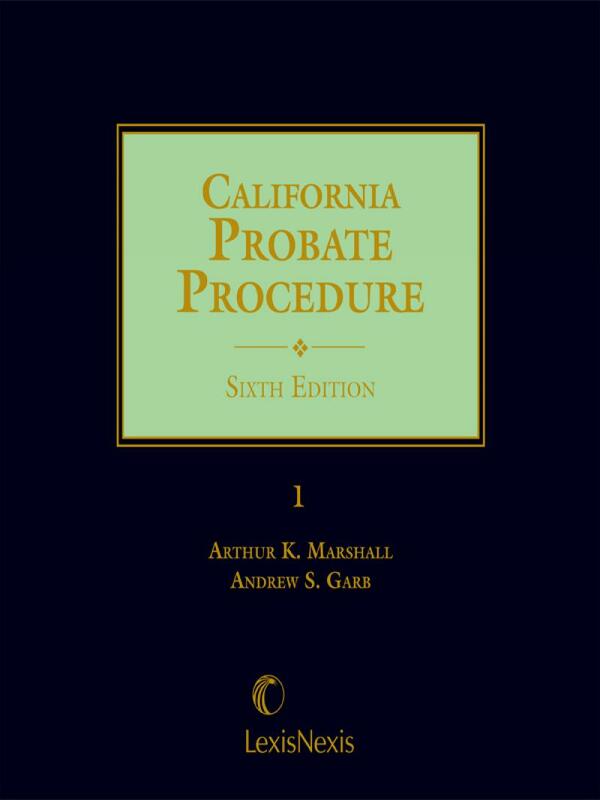 Arthur K. Marshall, author and lecturer, has served as Presiding Judge, Appellate Department, Los Angeles County Superior Court; as Supervising Judge of the Probate Department and the Pretrial Department, and as Commissioner of the Superior Court. He has sat by assignment on the Court of Appeals and the Supreme Court. Now retired, he is active in the arbitration field, and in numerous probate estates as counsel , executor, administrator, and trustee. He was the first recipient of the Los Angeles County Bar Probate and Trust Law Section's Arthur K. Marshall Probate and Trust Award. Andrew S. Garb, author, lecturer and Managing Partner of Loeb and Loeb, practices in the field of probate and trust-related litigation and administration. He received his J.D. from Harvard Law School. He is a past Chair of the Probate Litigation Subcommittee of the State Bar Estate Planning, Trust and Probate Law Section. Mr. Garb is a member of the American College of Trust and Estate Counsel and has lectured extensively in the field of probate and trust litigation.